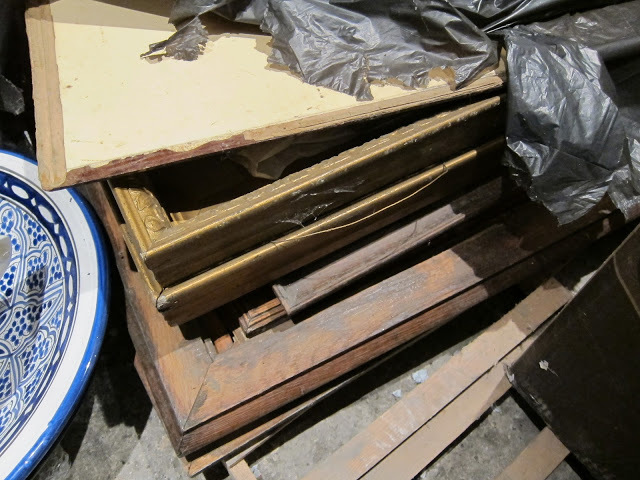 Art restoration has been more than just interesting as my life’s work. Lots of vintage oil paintings pass my way for conservation with a dramatic story attached and so it was with a dirty Barbizon style looking landscape that was ripped to shreds. Like many old paintings, it had old brown brittle ripped wrapping paper on the back… it looked like it had been through a war… and perhaps it had, of sorts. The artwork in this story was part of “a pile of paintings” found in a storage shed, the damaged dirty oil painting had been thrown away… then fished out and “thrown into a deal” with an art dealer who bought the whole pile. Horse-traded along with other items twice more, it finally ended up in my hands to “save it if you can.” Well, saving and preserving art is what we do! It’s especially satisfying if its historic. Wouldn’t saving and preserving history for future generations give you the good worthwhile feeling of being socially conscientious? At first, all we knew was that it was “oldish” and I guessed that it was from the end of the 1800’s. Origin unknown. HCF and I are old friends! My efforts in preserving and restoring his highly desirable, valuable paintings began in 1978 when I moved to Santa Barbara. Almost immediately, however, my awareness of his work went into overdrive when I was asked to help salvage from the outer darkness of “Pigeon Row” storage at the abandoned Mission Inn in Riverside, CA one of the most important historical collections of paintings… considered by many art historians as a National Treasure; The Missions of California… by Henry Chapman Ford. Incredibly important paintings, they helped to define the Mission Style Arts and Crafts movement in the Western USA. Since that time, we have done painting conservation treatments on dozens of other paintings by Ford. All this to say, by the time this painting of Bishop Ranch – Glen Annie came into my hands, I knew intimately the work of Henry Chapman Ford. To see what happened to this valuable, historical painting, see the end of the article. But the drama of the ripped oil painting’s arrival into my hands is only half the story. The other half is what warring events were happening in Goleta in 1875… giving us a clue as to why the painting was commissioned and by whom. Hollister promptly named his long desired ranch “Glen Annie”, after his wife, and went to work to make it a national showplace. 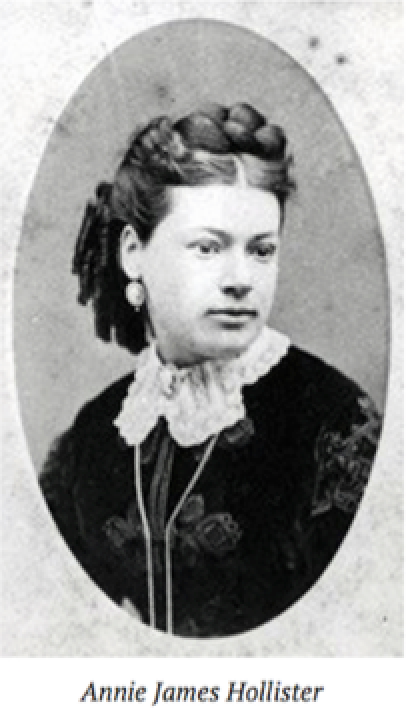 Glen Annie Ranch employed 50 workers, had a full cattle operation, profitable walnut and citrus orchards, and many experimental crops. 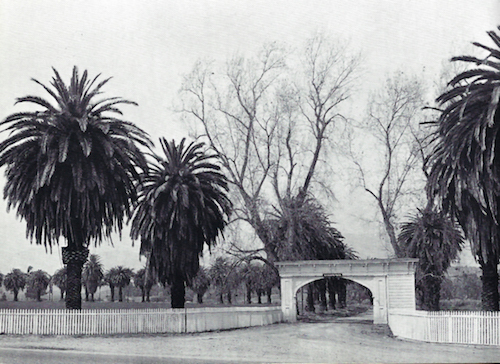 Date palms thrived and 10,000 almond trees made Glen Annie the largest almond grower in the country. Three of Goleta’s streams ran through the property and was soon covered with orchards of walnuts, lemons, limes and oranges. 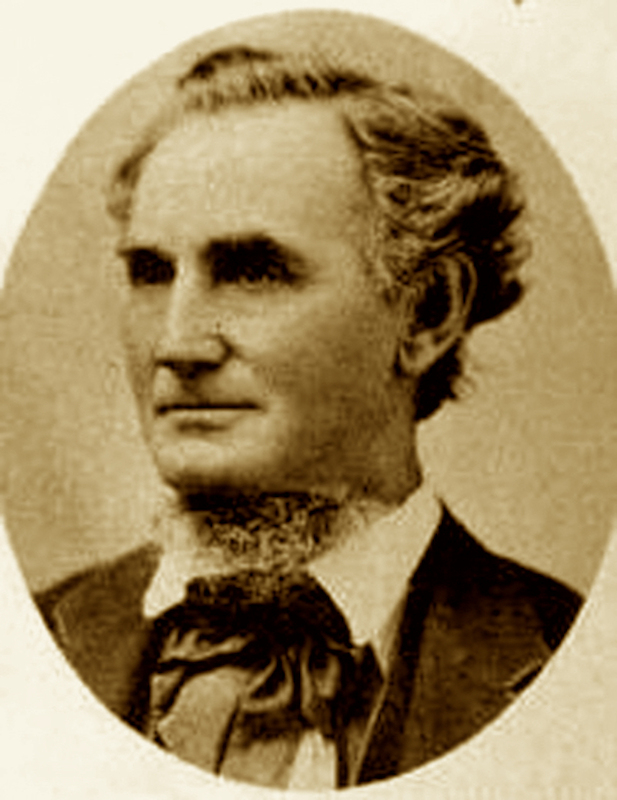 Heirs of the Den Family, from whom Hollister bought the property were fixated on irregularities in the hasty purchase 12 or so years earlier and they hired Thomas Bishop an attorney from San Francisco to investigate Hollister’s purchase of the estate without getting approval from the probate court. Suit was filed in 1877 against Hollister, Ellwood Cooper and the Sturges Brothers, (owners of Tecolote Canyon) and the trial was known as the most important land case of the century in Southern California. During the proceedings, the public considered Bishop the villain, breaking out in hoots and catcalls when he spoke in court. After 13 years of legal battle and acrimonious community dealings, the Hollister-Bishop lawsuit finally ended in 1890, in favor of the Den family estate. 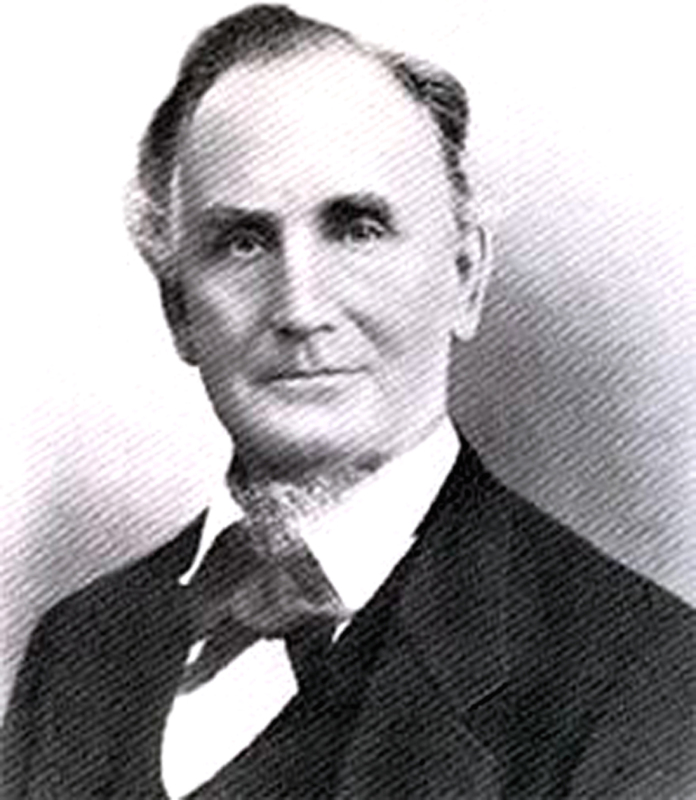 Colonel Hollister did not live to see the end of the predatory and expensive legal battle but died in 1886. 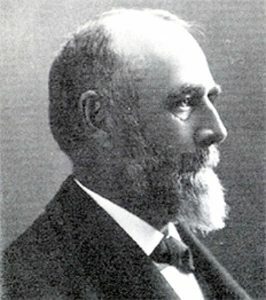 A very popular figure, his three mile funeral procession was the longest in the Santa Barbara history of public funerals. Thomas Bishop received as payment for his successful services the lower ranch of Glen Annie (and changed the name, of course). 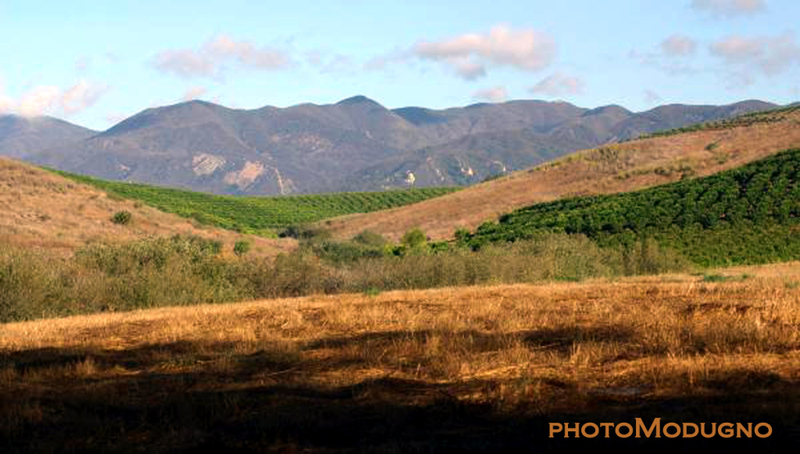 Bishop’s 240 acre ranch became, for nearly half a century, the largest farming operation in the Goleta Valley. 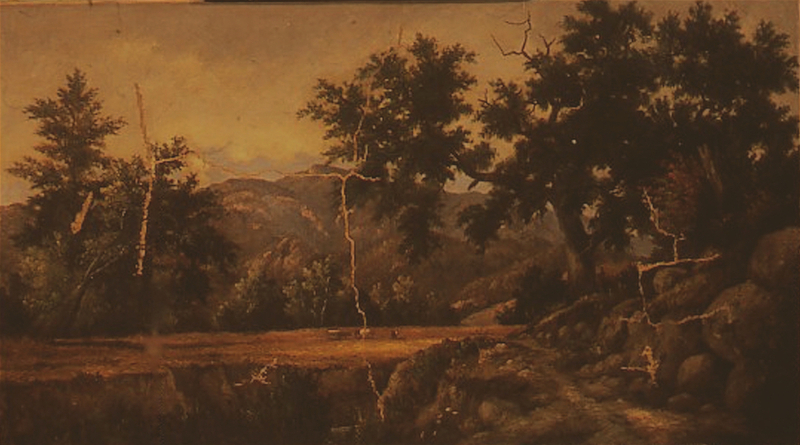 So, here is an interesting historical dilemma: If Henry Chapman Ford’s 1875 painting with HIS handwriting on the reverse annotating the title of the landscape as “Bishop Ranch – Glen Annie”… how could Bishop’s name be on it if Bishop didn’t own the land till 1890?!?! And given the rancor feelings from the lawsuit, would the name Glen Annie have survived the change-over in ownership in the community? And, its interesting that the landscape in the painting is clearly the canyon, which was not part of Bishop Ranch, but instead the Tecolotito Canyon property which was split off. Since that time, the land has been through disputes between the Bishop Ranch and the United States Bureau of Reclamation, Crown Financial Interests of Chicago the owners of the NYC Empire State Building, land developers, the City of Goleta and most recently, the residents of the community of Goleta. So, how did we save this painting, this “historical document” (if you will), this piece of our community’s heritage, you ask? Inspired by an article in GOLETA HISTORY. 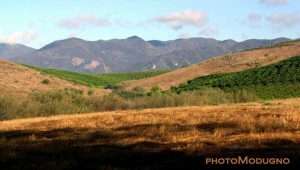 A couple of years ago, Tom Modugno published an informative article on Bishop Ranch here in Goleta. This entry was posted in Disaster/Emergency Response, Painting on canvas and tagged painting restoration, repair a rip. Bookmark the permalink. There isn’t anybody that works in LA that is even a close second in quality of work, your expertise and the service your company provides. You always treat my clients the way I would and represent me well. I always think of you for “fine work” on restoration and art conservation questions for fine art. Thank you for everything today! You and your team’s service, the pickups and deliveries and your vast knowledge of art and contacts that you share with me are very much appreciated. Your expert job on the painting with the rips was amazing. It was a pleasure to meet with you and see your expression when you saw the completed project! Thanks for leaving a comment. Thanks Marty for the nice comment. we appreciate your support and our relationship. We love working with you and your clients. This was the first time we ever encountered your profession, let alone thought about the complex layers of conserving a work of art. Nicely done work on our torn painting! Thank you! There is a fabulous restorer in Santa Barbara – Fine Art Conservation Labs. Scott Haskins travels all over the world to museums/collectors to repair/clean/restore paintings. I suggest you contact them – they will do an amazing, incredible job of fixing your art’s problems. We use them all the time and would not go to anyone else. I bought an old painting while on a European trip many years ago that seemed very discolored or dark to me. So I gave it to Andrew who came to pick it up. I had gotten FACL’s name from the director of the Laguna Arts Festival for whom Scott does consulting, lectures and workshops. I was so pleased and surprised at the total transformation and fine work on the rip repair. It was done on time and on budget. He even threw in a few free touch ups on the frame. Thanks Scott and the rest of you at FACL. Taylor, I guess it boils down to “you don’t know what you don’t know.” This article and video’s attempt are to educate you on the proper professional techniques… but not as a how-to video. You’ll be tempted to patch your painting’s rip. See the link on the article about why we don’t do that… an additional educational video. FYI, about 80% of the projects coming into our lab have been mucked up by someone else’s inept efforts in the past. I have an oil painting, a self portrait of my old man. There is an L shaped rip with around 6x4in flap. Why should I pay money to have it fixed when I’m sure I can repair the painting so perfectly no one will ever be able to tell the difference?